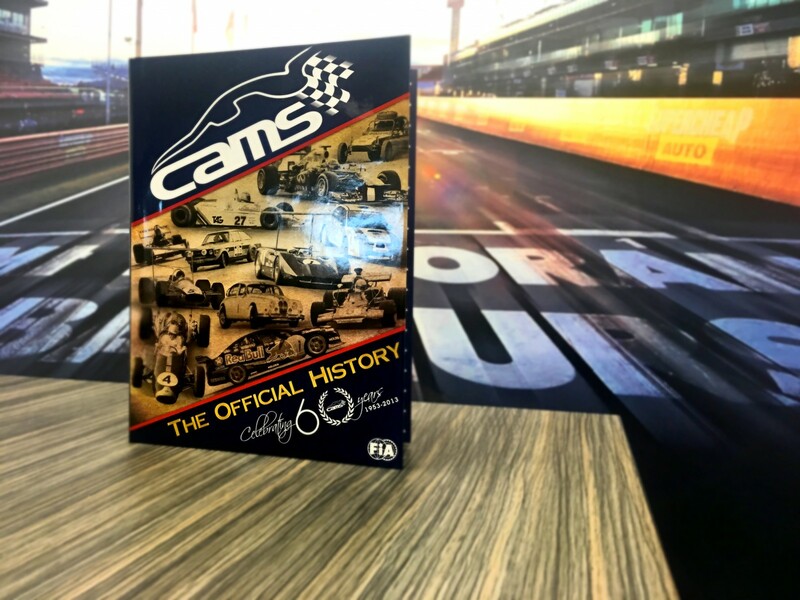 Supercars.com is giving away a copy of CAMS’ new ‘60 Years of Motorsport’ book to one lucky winner. The special edition is signed by all 26 current Supercars drivers, and is one of a limited print run, with just 1100 books available to purchase. The glossy 512-page hard cover book gives a definitive history of motor racing in Australia, containing thousands of historic pictures and detailed documentation from inception in 1904 to the present day. Share your favourite Supercars memory using the box below on Facebook or Twitter to enter now and win this great piece of memorabilia. The book celebrates the 60th anniversary of CAMS and doesn’t shy away from controversial pieces of history such as death threats to prominent administrators, the discovery of bugging devices in an executive’s office, bankruptcies, litigation, disqualification of international teams and the reversal of a world championship on the evidence of an Australian official. Among its revelations are how V8 Supercars came into existence, how a quest to bring three world championships to Australia in one year broke the bank of the country’s largest car club, and how the greatest Aussie F1 driver got the nickname ‘Black Jack’. “It is a must-read for all motor sport enthusiasts and a must-keep for all involved in the management of motor sport at any level,” CAMS chief executive officer Eugene Arocca said. The book is available from the CAMS bookshop at camsshop.shopdesq.com for $99 (including postage) and all proceeds go to the CAMS Foundation for talented young drivers. Enter below now to win the special signed copy.